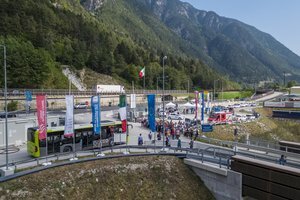 On Sunday, September 23rd, more than 4,800 enthusiastic visitors came to the construction site of the Isarco River Underpass near Fortezza. The BBT SE personnel was there to guide the tunnel and shaft tours and to show the project and the work progress. 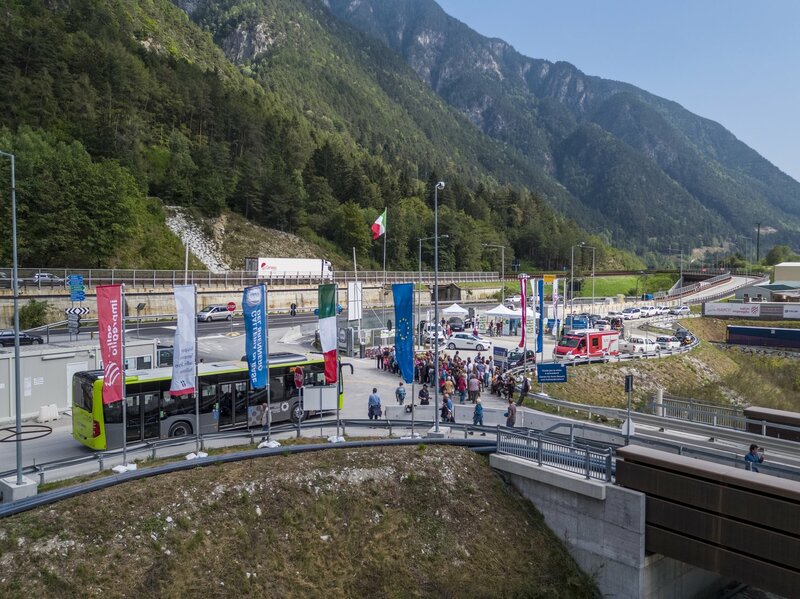 After the traditional opening of the Tunnel Day with a Holy Mass by Mons. 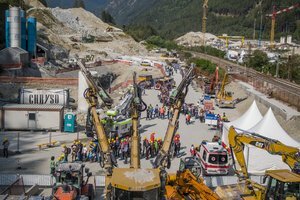 Oswald Holzer and the Fortezza chorus, all visitors had the chance to participate in the construction site and tunnel visits. 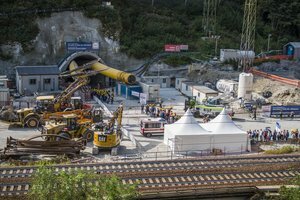 This year, visitors had the chance to take a bus tour of the tubbing ring production site at the BBT construction site at Hinterrigger and to discover further details on the Brenner Base Tunnel works. The turnout at the “BBT cinema”,was remarkable, too. 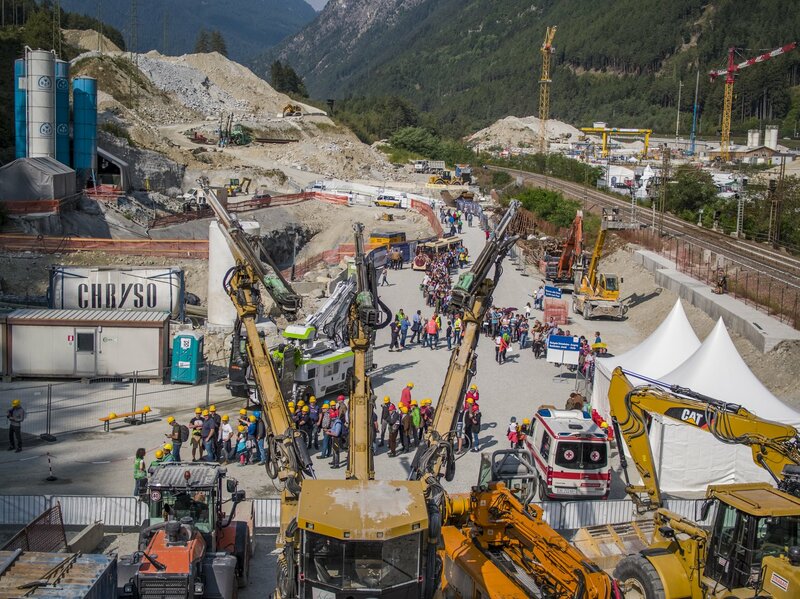 New Base Tunnel films as well as the history of the Brenner railway line were shown. 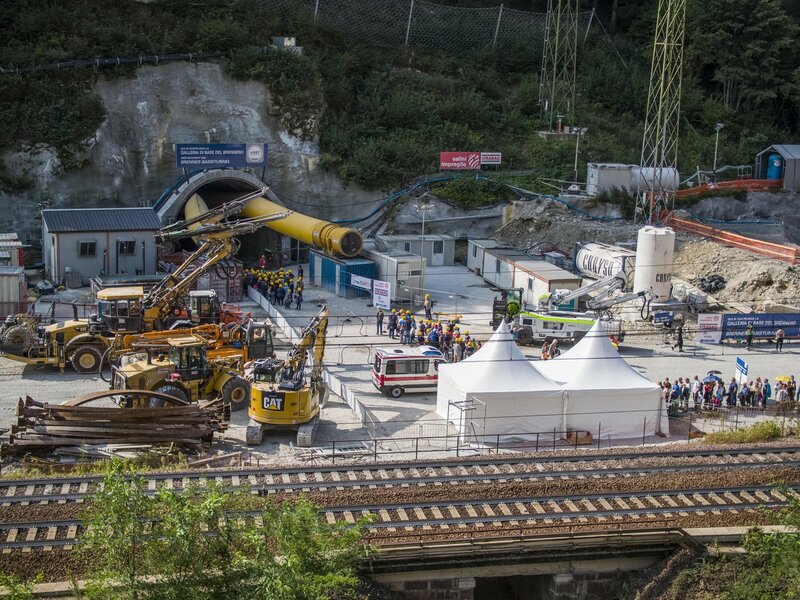 On the construction site, a TBM (Tunnel Boring Machine) model was shown. The presentations explained how it works. Visitors gathered together in groups on the small wheeled train shuttle. On the train, they visited the northern part of the construction site with the shafts for the Isarco River Underpass. 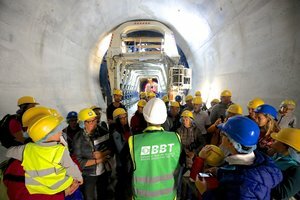 In a tunnel round tour, visitors received information about the different excavation techniques at the Isarco River Underpass. The live sand art show in the tunnel was a hit, too. It told the tale of the hidden treasure of the Fortezza Fortress. Great care was taken with the entertainment of the little guests. The informative event was visited by guests from outside the region and from abroad, too. These enthusiastic guests showed the value of the event and the increasing interest in this important European project.